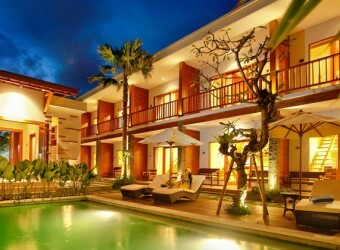 Bali Hotel Balcony living located Seminyak area where the latest fashion shop and restaurant along the street. They offer good hotel accommodation that you can spend time like second home. There are swimming pool, Wireless internet, Kitchen, Sofa, living floor.